Create and send professional looking invoices in seconds. Simply email or text your invoice and your clients can pay you anywhere, anytime. Get paid and have those funds in your bank account the next day. Keep track of clients who owe you money. 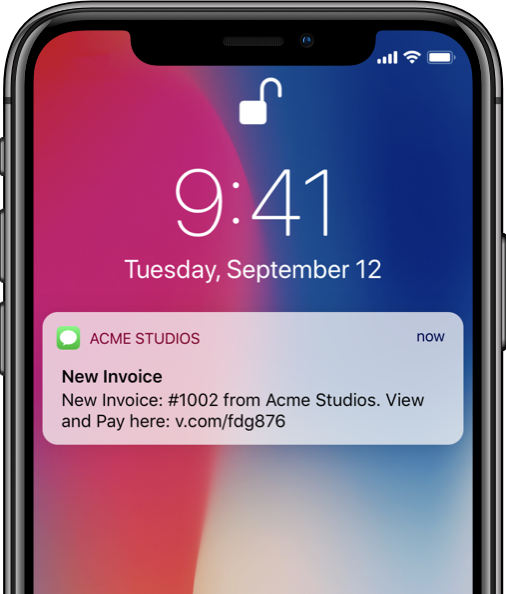 Send automatic reminders to clients with overdue invoices. Sending professional invoices that can be paid for online, at the convenience of your clients. You can even accept tips from your invoices. Reminders are automatically sent for overdue invoices. Send unique links to customers via text or email, and other options. Manage your invoices, track payments, and send reminders. Manage all of your invoices from one place. Build a cart in the Vagaro Checkout and send it as an invoice. Get interrupted? Save it for later. 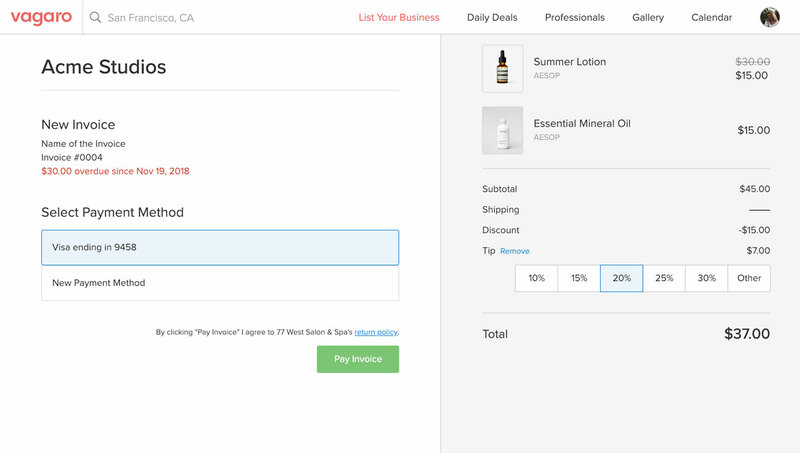 Create invoices with services, classes, products, packages, memberships, and gift certificates. Sign up for Vagaro Merchant Services and give your clients the ability to pay invoices online at their convenience with a credit card.